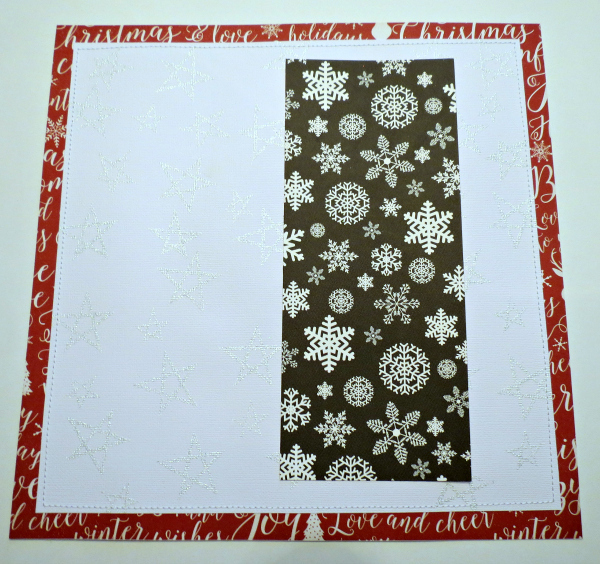 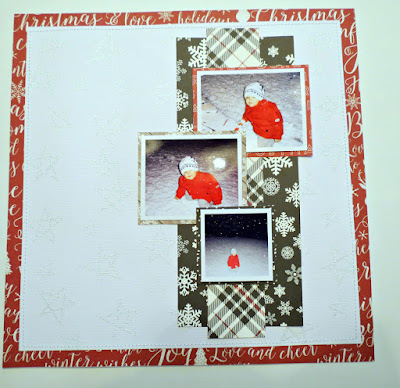 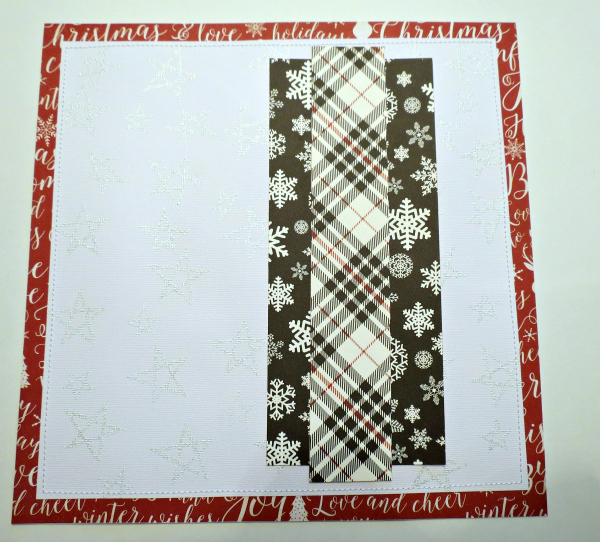 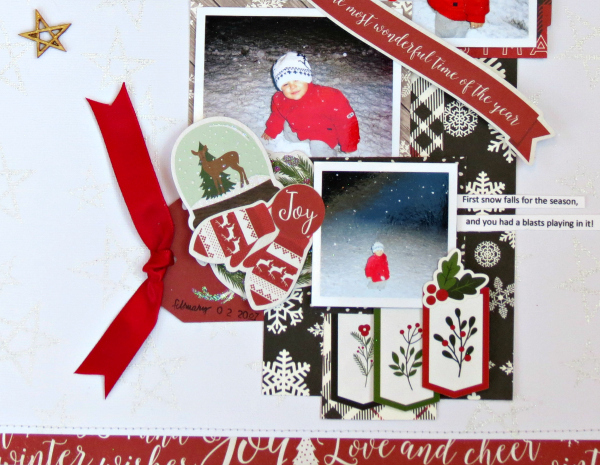 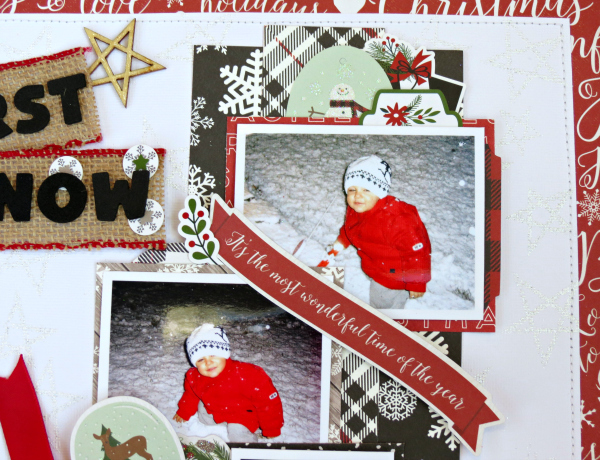 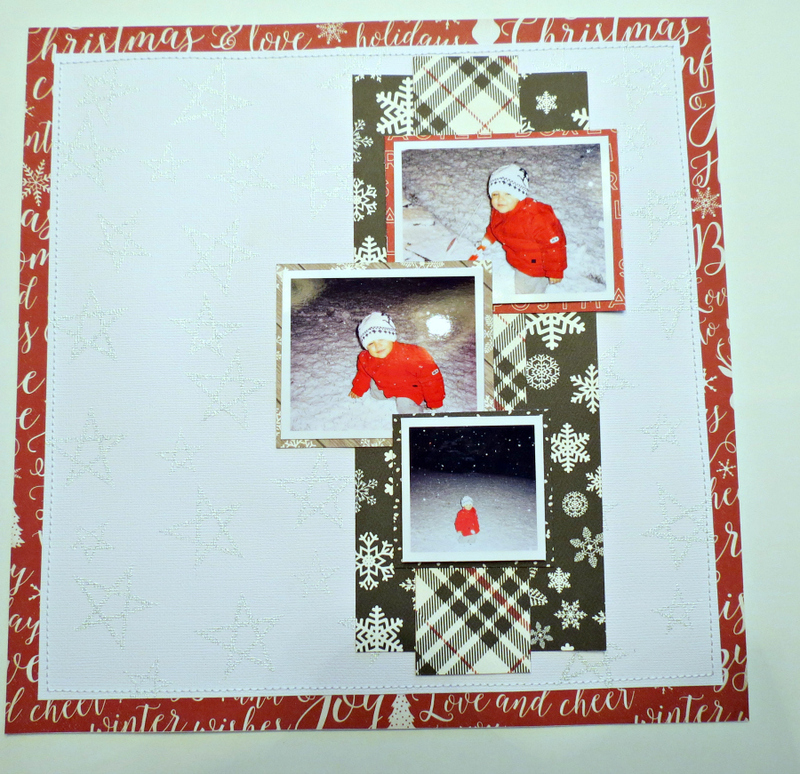 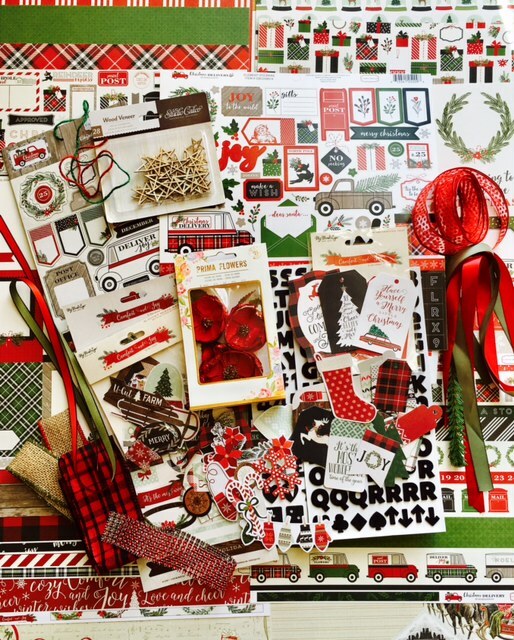 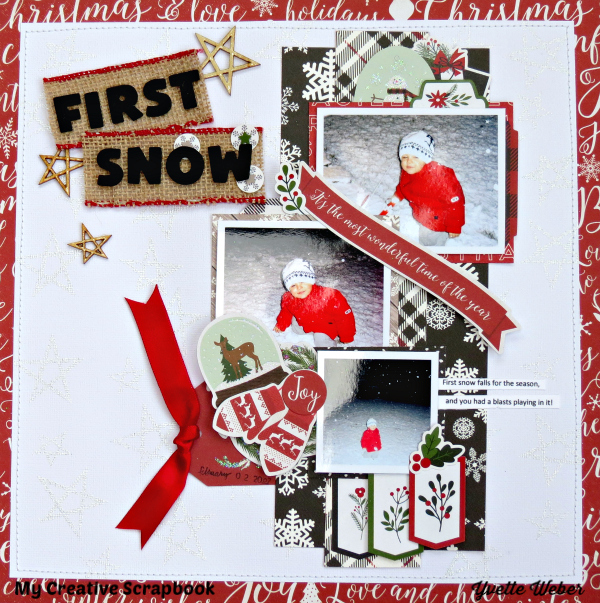 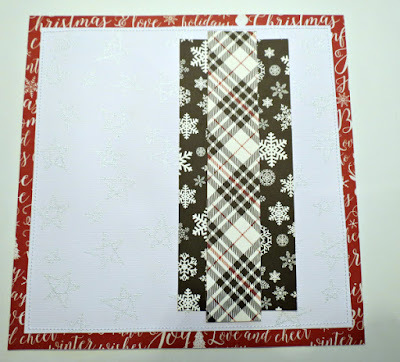 Today I am sharing a layout I created with a heat embossed background! 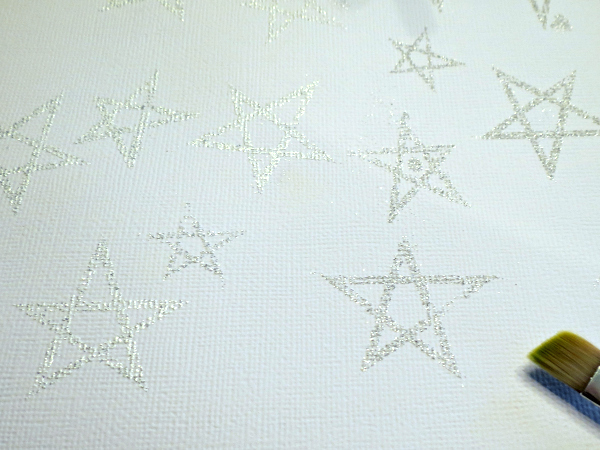 I decide to use the star wood veneer for my design, I used VersaMark watermark stamp to stamp the star image over the entire cardstock! 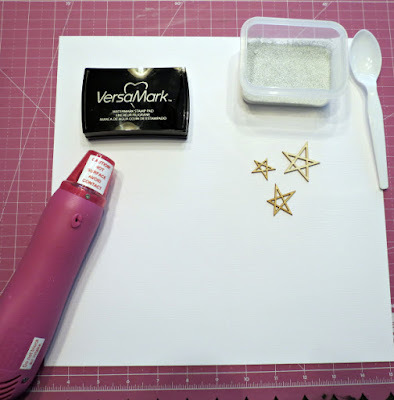 After I covered the stamped images with some silver embossing powder, I shook off the embossing powder and the extra left behind I brush off with a small brush. 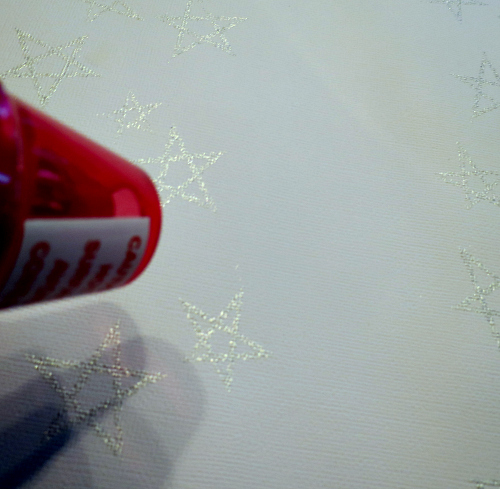 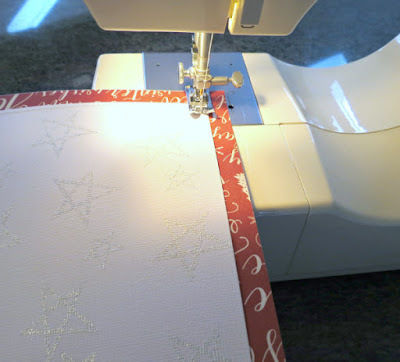 Next I heat the embossing powder images with a heat tool.